Bishop John Harvey Taylor announced Jan. 19 that Kathy Wilder has been named executive director of Camp Stevens. The camp, located in Julian, California, serves the dioceses of Los Angeles and San Diego. Wilder has served as interim director of the camp since the departure early in 2018 of prior director Beth Bojarski, who moved with her family to Cincinnati, Ohio, where her husband, the Rev. Mitch Bojarski, is now on the staff of Church of the Redeemer. Wilder had previously served as the camp’s operations director. The camp’s board of advisors made the appointment after an open search process. 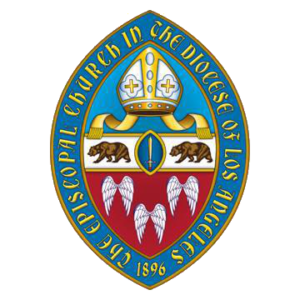 Their choice was affirmed by Bishop Taylor and Bishop Suffragan Diane Jardine Bruce, as well as Bishop Katharine Jefferts Schori, who is currently bishop assisting in the Diocese of San Diego. The board felt it important to list the position and find the most qualified candidate, and interviewed several applicants before choosing Wilder, McCarthy said. “Kathy’s passion and love for Camp Stevens, her education in non-profit development, and her uncompromising dedication to bringing God’s love to everyone in the camp environment made the decision to offer her this position a unanimous one by the board, and which Bishop Taylor, Bishop Bruce, and Bishop Jefferts Schori enthusiastically affirmed,” McCarthy said. 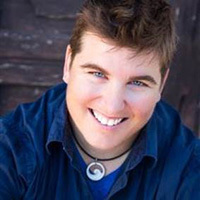 Wilder has served in the youth development field for 25 years, starting as a camp counselor and wilderness leader for the Girl Scouts of San Diego-Imperial Council. She completed a college internship at Camp Stevens in 1996 while studying social work and secondary education at Kalamazoo College. After graduation, she worked for the Orange County Outdoor Science School program and YouthServe AmeriCorps, and directed camp for the Girl Scouts in the summers. Wilder returned to Camp Stevens in 2007 as operations director. She helped navigate the aftermath of the Angel Fire that year, supporting and leading recovery efforts on all levels. In 2010 she took a position at the Jackie Robinson YMCA as youth program director, then became chief operating officer for Pro Kids | The First Tee of San Diego. Wilder earned a master’s in business administration and a master of science degree in leadership from Grand Canyon University in 2015. She currently working towards a doctorate of education in organizational leadership with an emphasis on resilience and transformation. Wilder’s wife, Hannah Wilder, is communications director for the Diocese of San Diego and a postulant at the School for Ministry.